Afternoon hits, and so does your coffee craving. But there are some downsides to a second cup: 1. The crash. 2. The "can't fall asleep until 2 am" effect. What's a caffeine-lover to do? Brew this tea. 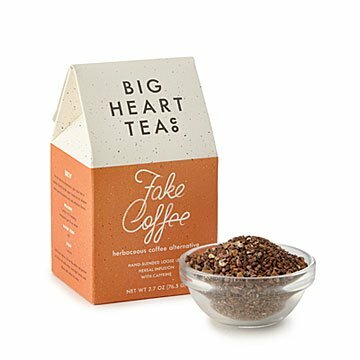 It has the look and feel of coffee—rich chocolate color, that specific thickness and weight on your tongue—but it's lighter on the caffeine and has a delightful, spicy twist. The cacao, chicory, and cinnamon blend is for two kinds of people—those aforementioned second cup abstainers, and those who never liked coffee in the first place (yes, they exist!). Made in Missouri.